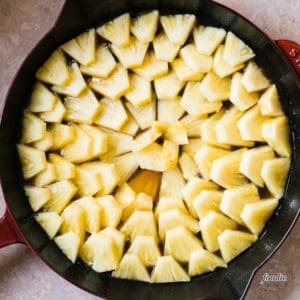 Pineapple Upside Down Cake, made with fresh pineapple and tepache, a type of pineapple hard cider, is the most delicious dessert you can make in a cast iron skillet! 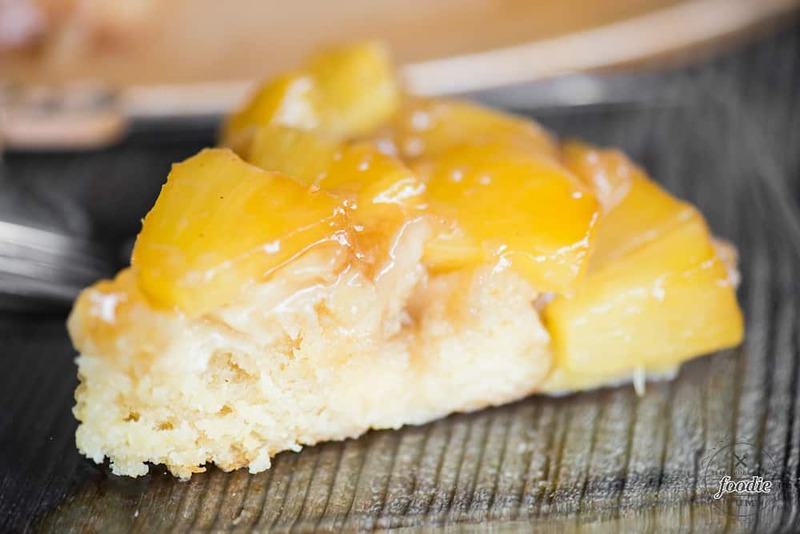 A layer of sweet and juicy pineapple pieces are smothered in a super sweet topping. Then the most moist and flavorful cake cooks on top. Pineapple Upside Down Cake is one of my favorite desserts. 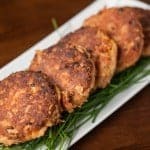 I’ve made more than a couple upside down cakes, including a long list of recipes I included at the bottom of this post. I actually didn’t realize I had made so many upside down cakes until I started to list them. Never made one? Not exactly sure what they are? Here’s my take on this fabulous dessert. An upside down cake is one where the topping, typically some kind of fruit with a sugar syrup, is baked below a cake. Once the upside down cake has finished cooking, it is inverted onto a serving dish so that the cake is on the bottom and the topping is on the top. Upside down cakes can be made in any kind of a baking dish. My preferred method is to use cast iron since the topping generally requires heating and cast iron can easily be transferred from the cook top to the oven. Basically any kind of fruit can be used, however you must be aware of how that particular fruit cooks down. For example, bananas don’t put out much moisture, but berries turn to liquid. If you end up using a fruit that breaks down easily, you’ll want to cook down the topping mixture first so that it has a chance to thicken. 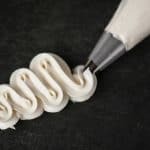 Since the topping is generally very sweet, you’ll want to be sure your cake recipe isn’t overly sweet so that the sweetness is balanced. I used fresh pineapple. The difference in flavor and texture between fresh and canned pineapple is ridiculous. In my opinion, they taste nothing alike. Fresh almost always wins in my book. I used tepache in both the topping and in the cake recipe. It added the most interesting and unique flavor profile to this dessert. 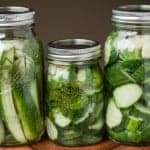 Never heard of tepache? I’ll explain further below. This pineapple upside down cake was made in a 12 inch cast iron skillet. If you don’t have one, I highly recommend you put it on your wish list. This cast iron skillet allows you to cook the brown sugar and pineapple topping on the cook top to perfection. Then, all you need to do is cover it with the cake batter and slide it in the oven. Tepache is a fermented beverage made from the peel and the rind of pineapples, and is sweetened either with piloncillo or brown sugar, seasoned with powdered cinnamon, and served cold. There is no recipe for Tepache. It is a traditional Mexican drink, frequently consumed out of a plastic baggie with a straw, sold by street vendors in Jalisco and made at home. The fermentation happens on the scales and rind of the pineapples, imparting a deep and unique flavor. This beverage is low-alcohol and sweet due to a partial fermentation of the pineapples. I actually got a bottle of Reverend Nat’s Hard Cider, made locally here in Portland, Oregon, a few years ago and have been hanging onto it specifically for this pineapple upside down cake. I even packed it up when we moved houses because this recipe was stuck in my brain but I hadn’t yet made it. Their tepache is composed exclusively of pineapples sourced from Nat’s second cousin’s plantation in Costa Rica, piloncillo from the Mexican state of Michoacan and a furtive selection of spices. If you can’t get your hands on a bottle of tepache or don’t use alcohol in your cooking, you can substitute with pineapple juice in the recipe. Upside Down Rhubarb Walnut Cake – This recipe is a heavenly summer dessert made perfect with a moist cake topped with a sweet and tart crunchy fruit topping. Upside Down Cranberry Coffee Cake – Serve up this sweet homemade coffee cake with a hot cup of freshly brewed coffee for the perfect breakfast. Great for holidays too! Apple Upside Down Cake – Nothing says fall like a warm spiced apple dessert, and this recipe will definitely impress because it is so incredibly rich and delicious. Banana Upside Down Cake – Put those ripe bananas to excellent use and make this easy, rich and sinful cake. Its the perfect dessert for any occasion. Bourbon Glazed Apple Gingerbread Upside Down Cake – I can’t think of a better rustic dessert to serve during the holidays than this delicious Bourbon Glazed Apple Gingerbread Upside Down Cake. Apricot Almond Upside Down Cake combines tart fresh apricots, sweet butter and brown sugar topping, and delicious crunch from the almonds and pine nuts. Upside down pear tarts – These are an impressive looking fall dessert, yet are incredibly easy to make with only a few ingredients. 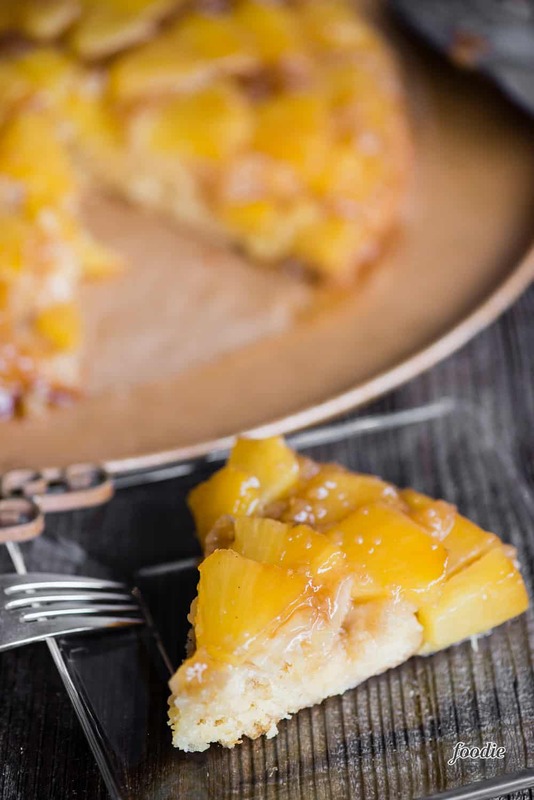 Pineapple Upside Down Cake, made with fresh pineapple and tepache, a type of pineapple hard cider, is the most delicious dessert you can make in a cast iron skillet! 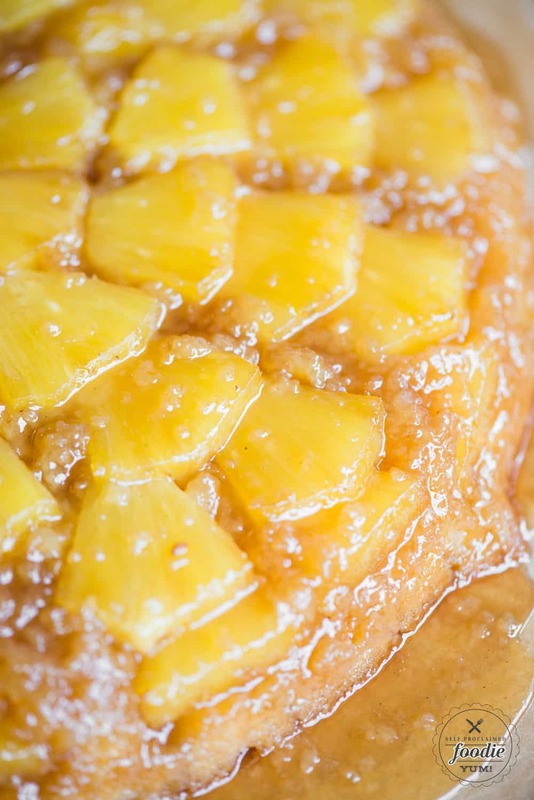 A layer of sweet and juicy pineapple pieces are smothered in a super sweet topping. Then the most moist and flavorful cake cooks on top. I recommend making this cake in a well-seasoned 12-inch cast-iron skillet. If you don't have one, you can make the topping in a pot and then transfer it to a 9x13 baking dish. Cut the pineapple spears into 3/8-inch thick pieces. 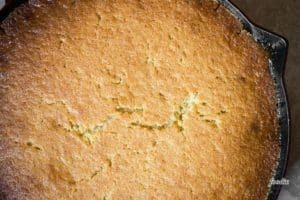 To make the topping, melt butter in skillet. Add brown sugar and hard cider and simmer over medium heat, stirring, until the sugar dissolves. This will take about four minutes. Remove from heat. Arrange pineapple on top of sugar mixture in concentric circles, overlapping pieces slightly (see photo). To make the cake, whisk together flour, baking powder, and salt in a small bowl. Set aside. 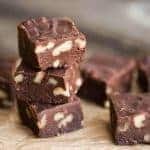 Using a stand mixer with the paddle attachment or an electric mixer, beat butter until light and fluffy, then gradually beat in granulated sugar. This may take up to 5 minutes. Add eggs and yolk, one at a time, beating well after each addition. Beat in vanilla. Add half of flour mixture and beat on low speed just until blended. Beat in pineapple cider, then add remaining flour mixture, beating just until blended. Spoon batter over pineapple topping and spread evenly. Bake cake in middle of oven until golden and a tester comes out clean, about 45 minutes. Let cake stand in skillet five minutes. Set a plate or platter large enough to cover skillet on top and invert cake onto plate (keeping plate and skillet firmly pressed together). Do this as quickly as possible so as to not change the pattern of the pineapples while flipping. If you are not able to find hard pineapple cider, you can use pineapple juice instead.